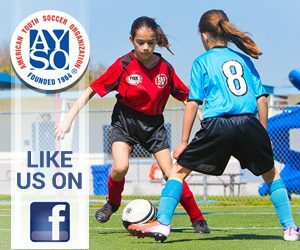 “Silent Saturday” has been instituted in AYSO Regions throughout the country finding a great deal of success. Its main purpose is to just let the kids play and have fun without having to worry about how their performance is affecting the adults on the sidelines. “Silent Saturday” is a throwback to the old schoolyard days when kids would get together after school and on weekends just to play the sport all day without regard to who was winning and repercussions for poor play and decision-making. • To reemphasize that the game is about letting the kids play and have fun. • To give the players a chance to play totally on their own. • To eliminate the verbal questioning of the referees’ decisions. • To help the few parents and coaches who feel they must provide constant direction to understand that the kids can play very well on their own with limited instruction. While the vast majority of adult verbal participation is intended to be positive and constructive, the fact of the matter is that games can (and have in the past) become so loud that the players often have difficulty hearing each other on the field. Taking one week off from any verbal interference may help adults’ gain perspective on just how loud they’ve been in the past. Parents…. Coaches…. just let the kids play and have fun! Please be advised that you may not make any verbal comments on the game or direct any comments to the players, referees or coaches – on or off the field. Clapping IS allowed! Be creative in how you choose to cheer your child’s team – make signs to hold up, bring a rally towel in the team’s color and wave it wildly, there are lots of ways to cheer other than verbally. You may not provide any direction – verbal or non-verbal – to players who are on the field. You make speak quietly to any players that are on the bench, but DO NOT give those players instructions to yell out to their teammates! Coaches may address the players at a normal tone before and after the game, during water breaks and during halftime. 6U, 7U, and 8U coaches will still referee their games, but we ask that you do so quietly and with minimal instruction to players on the field. You are encouraged to speak to each other on the field. You are free to support each other and provide direction to each other. Players on the bench may cheer freely in a positive manner, but may not provide instruction to those on the field. Referees have been instructed that if spectators and coaches are not following the rules, the referees are to stop the game and issue a warning. The referee will then have the option to give a second warning if the behavior continues, to remove coaches or spectators who are not cooperating, or to terminate the game.